Another exhibition show was held in Guangzhou in October, 2017. 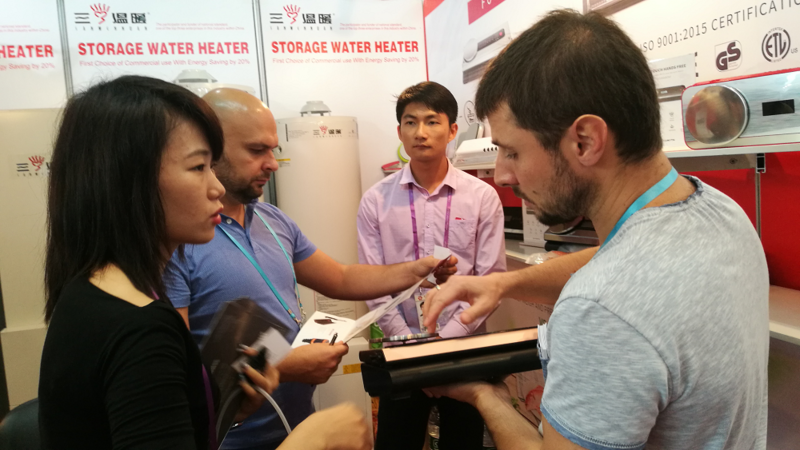 It was an international fair known as Canton Fair on a large scale in China, attracting a large array of purchasers and suppliers in various industries both home and abroad. 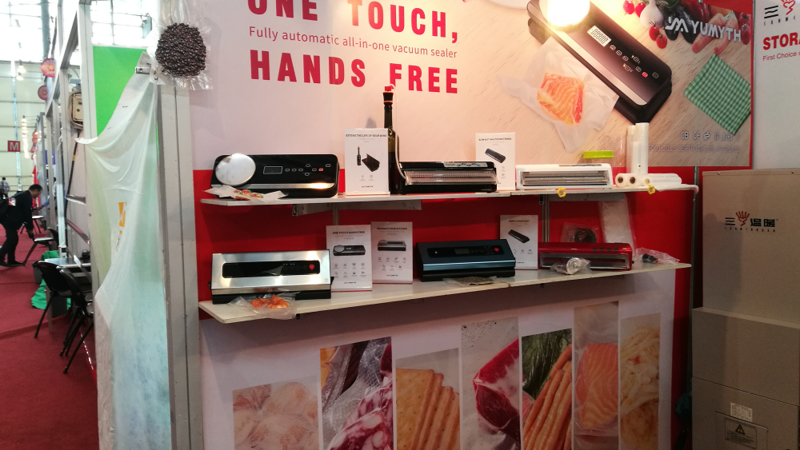 As one of the top leader in kitchen appliances and other related accessories, Yumyth displayed its own unique and innovative product called as vacuum sealers. Various models on show (see the picture as below) such as VS6600M, VS6610, VS6620, VS6680(M) catered to different needs. 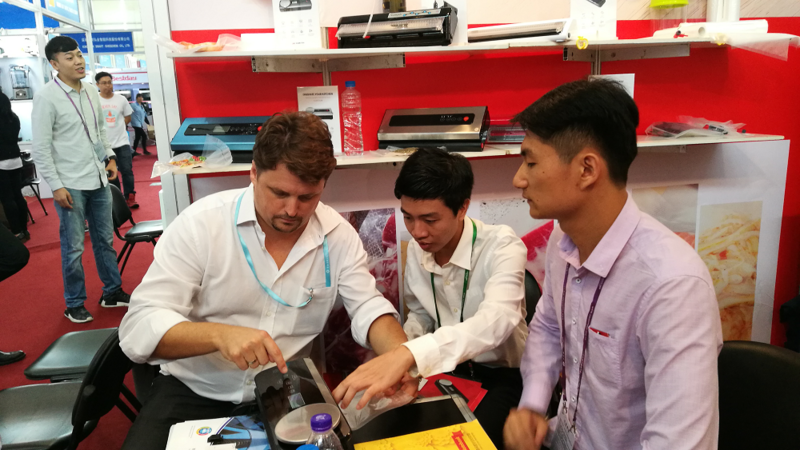 One of the biggest buyers from Germany took keen interest in VS6680M and we were demonstrating to him how to use it. VS6680M was the highlight in this exhibition show and lots of famous buyers around the world were attracted by its new features. There are a few improvements made on VS6680M as compared to other models of vacuum sealer machines. 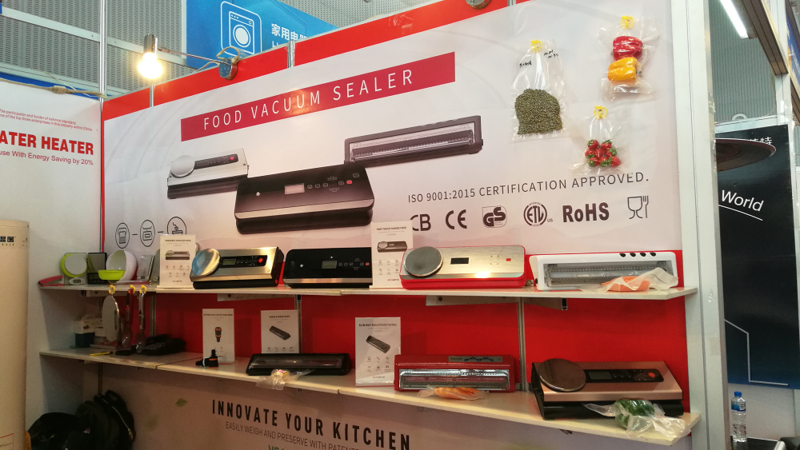 Throughout the whole exhibition, we enjoyed our company with our clients and discussed about vacuum sealers in great detail in terms of features, usage, price, payment, etc. We also established future cooperation with several buyers. Some clients placed trial order with VS6680M and other models to test the market in their country and we are sure they would be well-received. As more and more people pay attention to their food items and healthy lifestyle, vacuum sealing systems will become a hit in the future. We are dedicated to become the top brand in the field of vacuum sealing machine and other related kitchen products. We are anticipating your visit at the next Canton Fair.